The new plaque is near EWEB headquarters, about 100 feet from the site of Griffin's house. 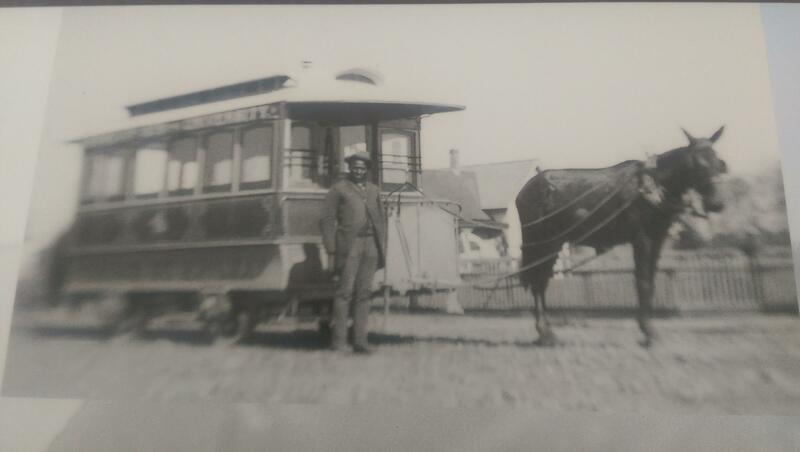 Wiley Griffin drove a mule-drawn trolley in Eugene in the late 1800s - early 1900s. 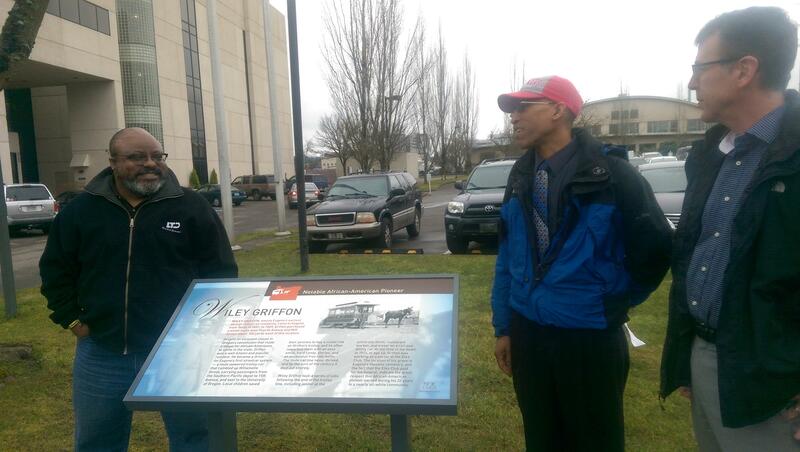 Eugene City Councilor Greg Evans (left), Lane County NAACP Executive Director Eric Richardson, and EWEB General Manager Frank Lawson (right) with new plaque honoring Wiley Griffin. 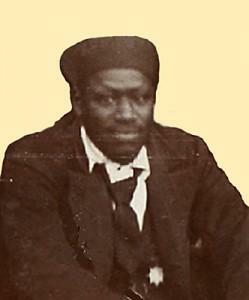 A new plaque honors one of Eugene’s earliest African American residents at the site of his former home. 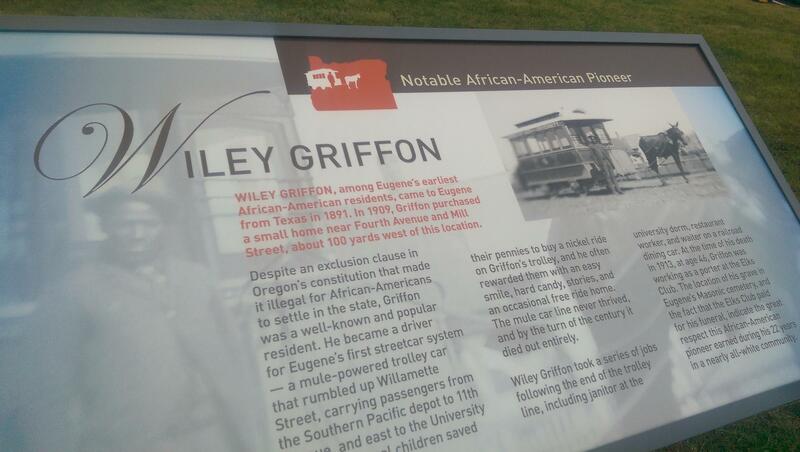 Historical research has found that Wiley Griffin lived near the current Eugene Water and Electric Board. The plaque was unveiled Friday. Griffin also worked as a janitor at the U of O. His home was in what was then the outskirts of Eugene city limits, near the Willamette River. From historical photos, it looks like Griffin’s home was regularly flooded during the rainy season. Families can get a taste of Eugene history this Friday amid Thanksgiving leftovers and shopping. The Eugene / Springfield NAACP is having an open house on Black Friday. 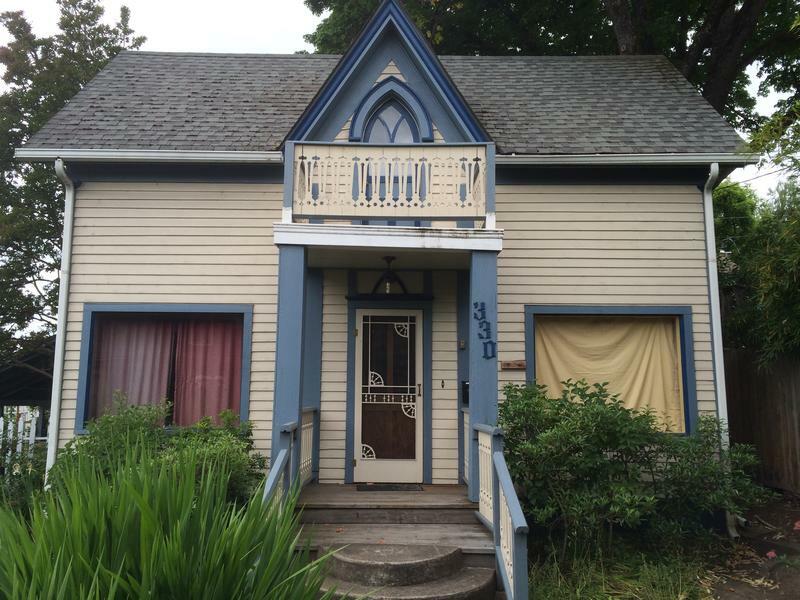 They’re opening the historic Mims House near Skinner’s Butte in Eugene. 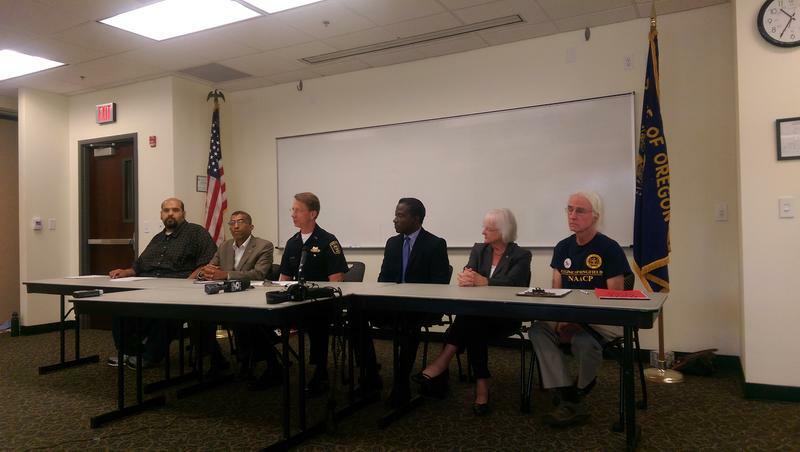 Eugene police and community leaders say they won’t tolerate hate and will work to improve relations between police and the minority community. They held a press conference Wednesday in response to recent national events. The Mims House became the first black-owned property in Eugene in 1948, after previous ordinances prohibited people of color from purchasing property or living within city limits. 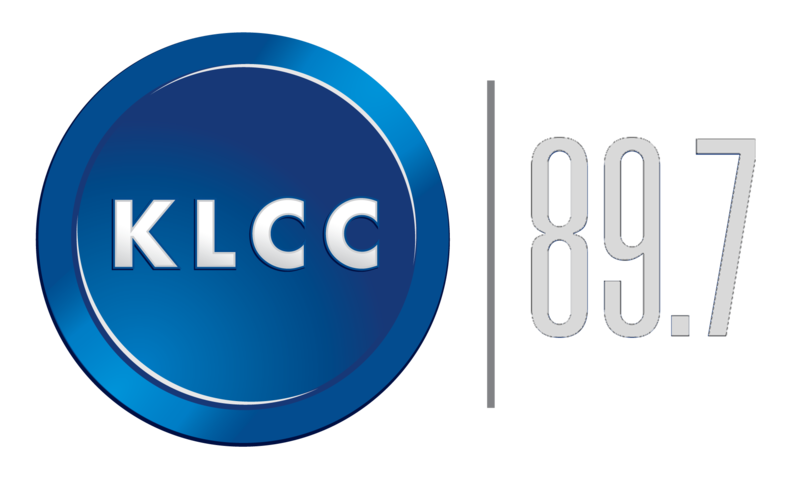 Eric Alan speaks with Willie Mims about the living history there, including visits from Louis Armstrong and Ella Fitzgerald.